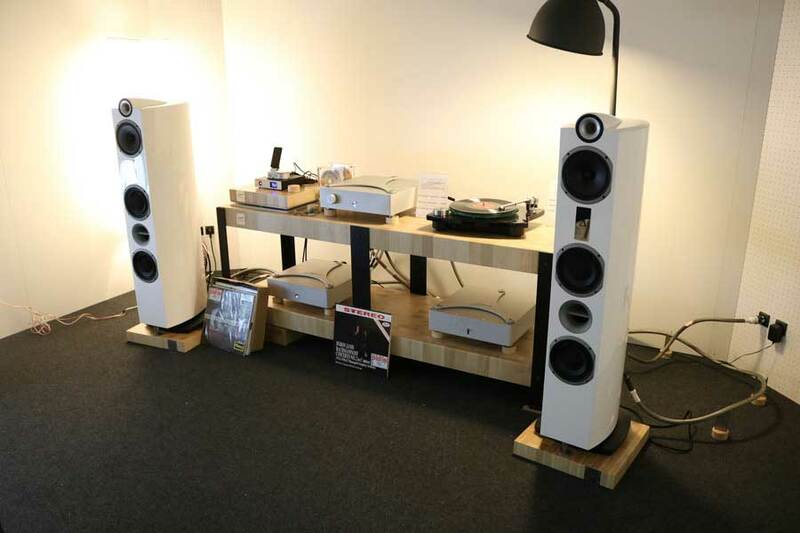 A Charlin pre-phono and power amps driving Triangle Signature Delta loudspeakers. 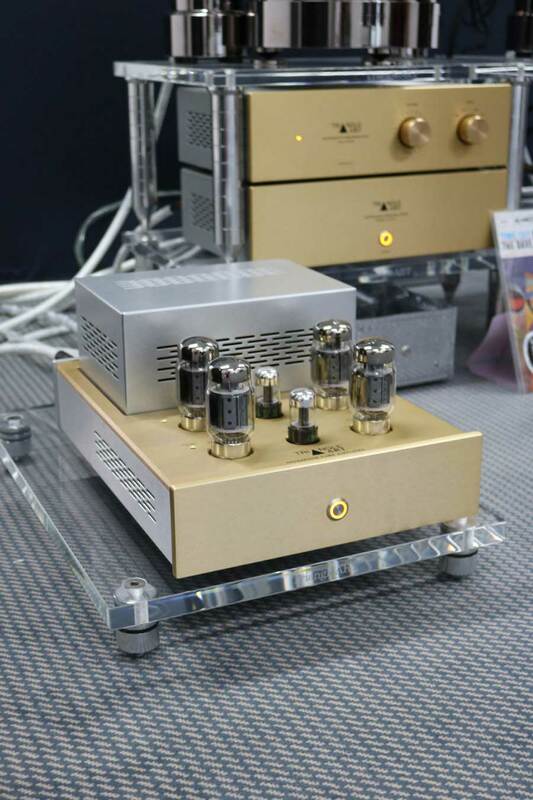 Francophiles will love this as it’s all French. 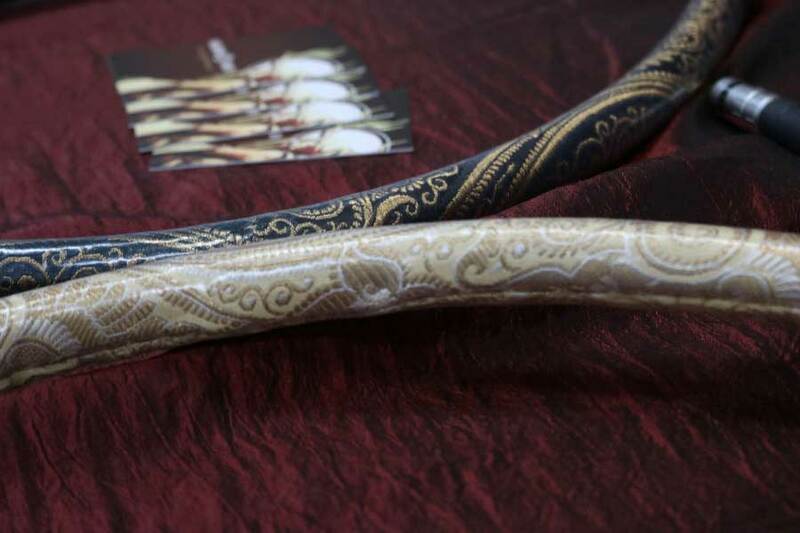 I’m noting here that there is a lot of French brands here at this year’s show. 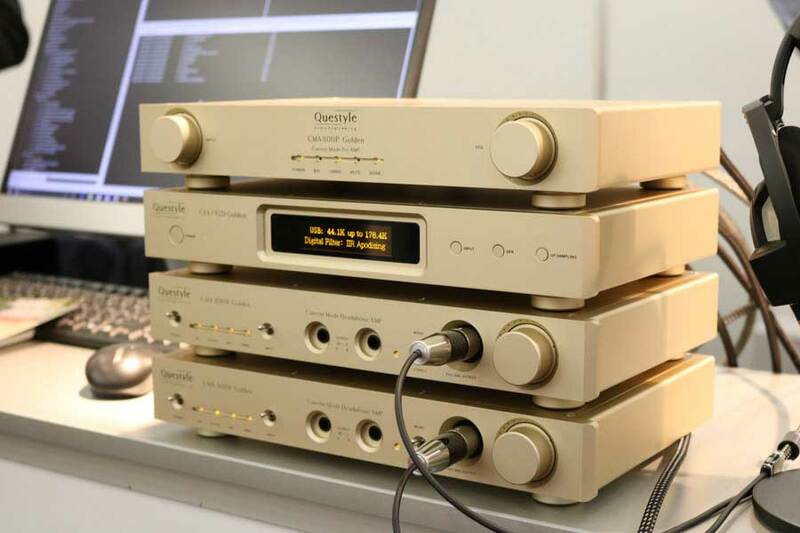 Questyle Reference System Gold Edition. 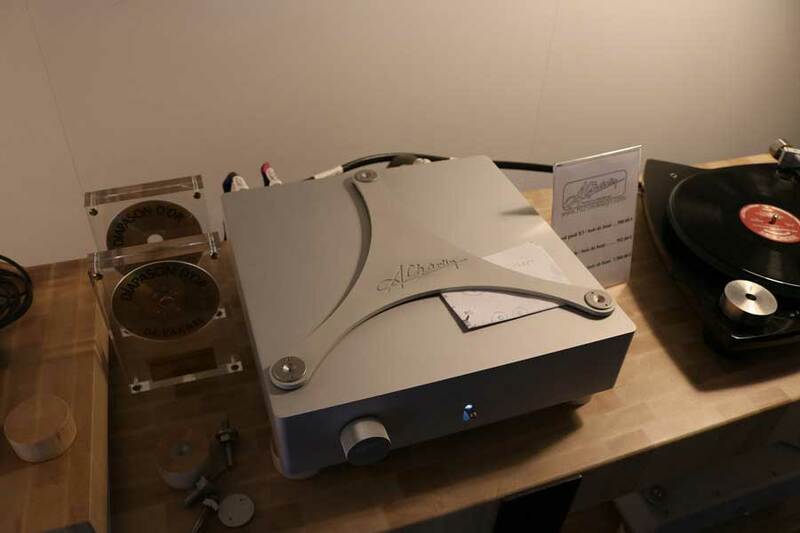 Wonderful and possibly as good as it gets on headphones. 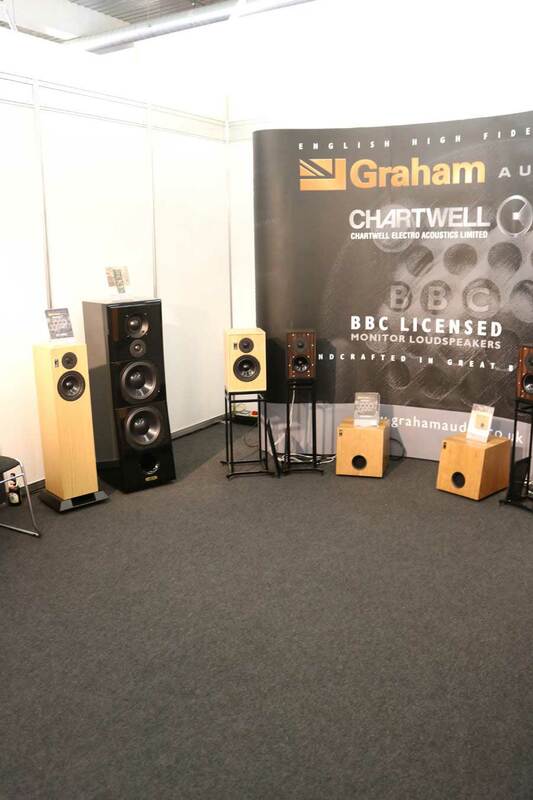 Graham Audio were keeping up the British front. 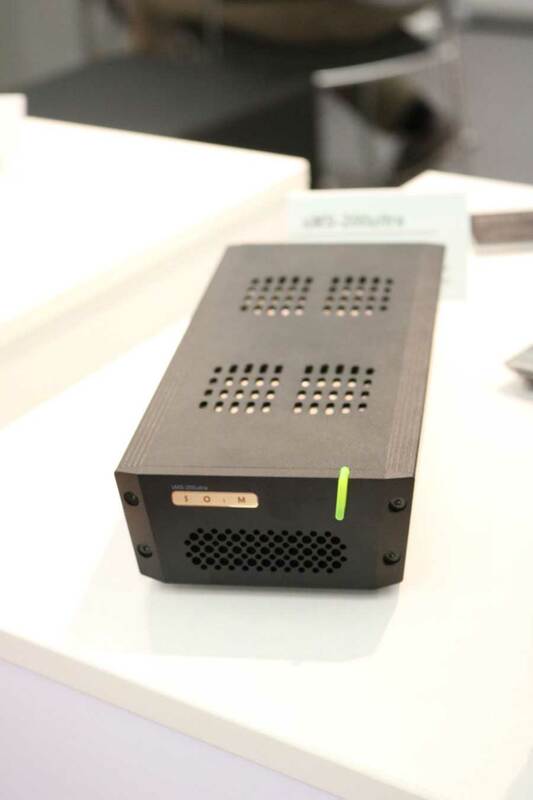 Mutec make reclockers for the professional audio market but they are moving into home audio in a big way. 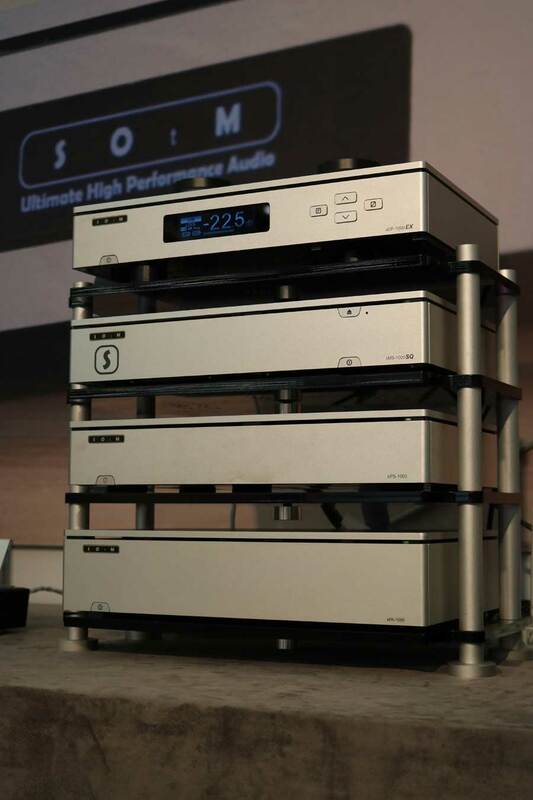 Watch out for this name in serious computer audio systems. 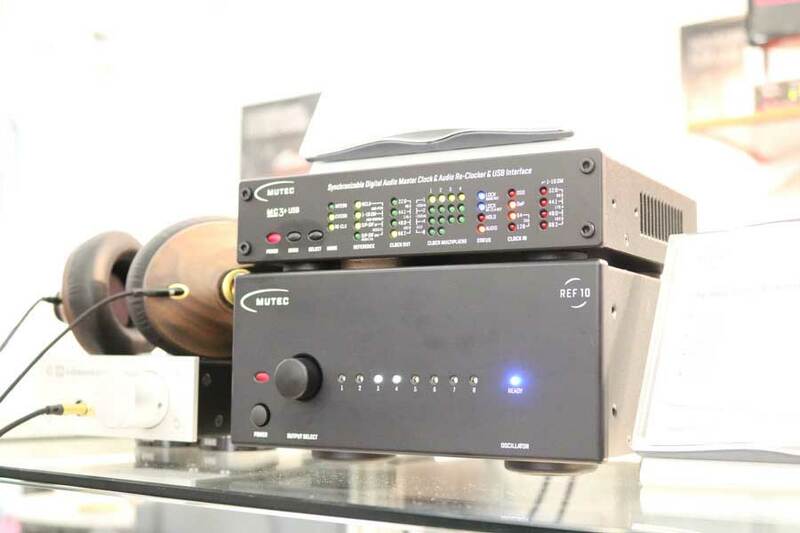 Such a shame to see the Music First Audio preamplifier on the bottom shelf outside Offensive Audio’s cabin. 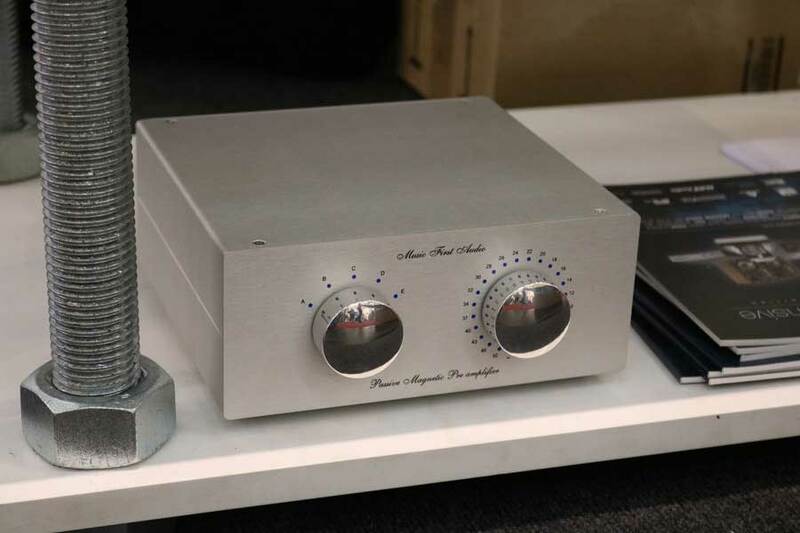 I’d have loved to hear it in the system in there. 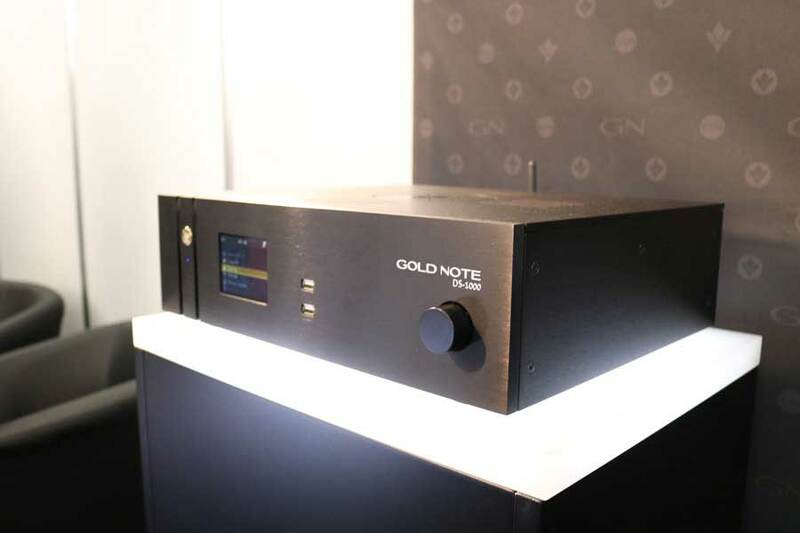 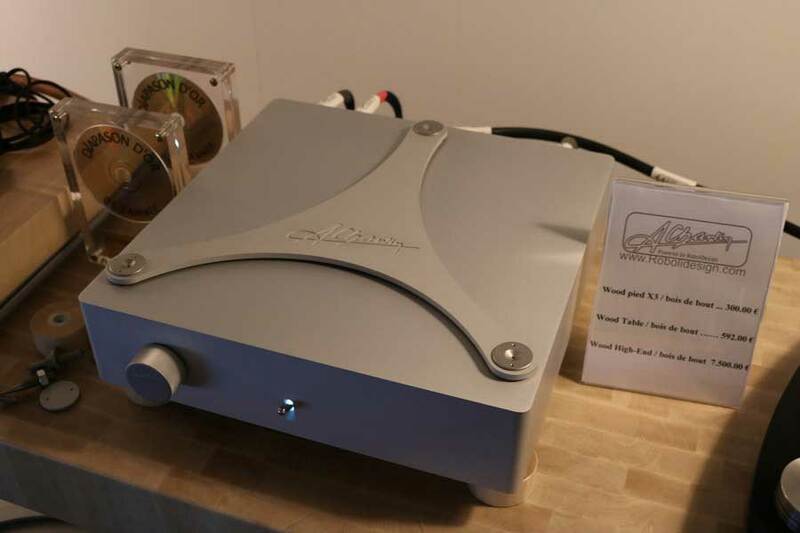 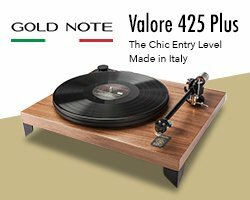 Gold Note from Italy do some great products and we highlighted their new phono stage in our Joy Of Decks feature around Munich High End. 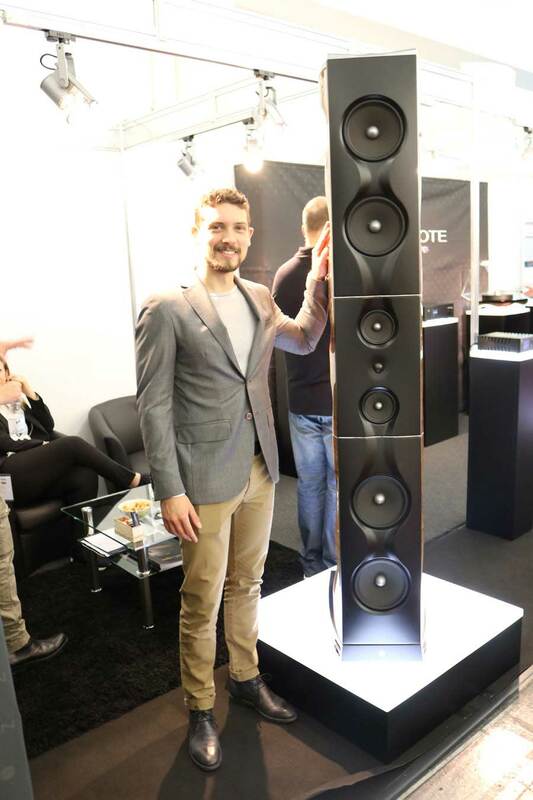 Here you can see Tommaso Dolfo from the company in front of the latest loudspeaker in their XT range. 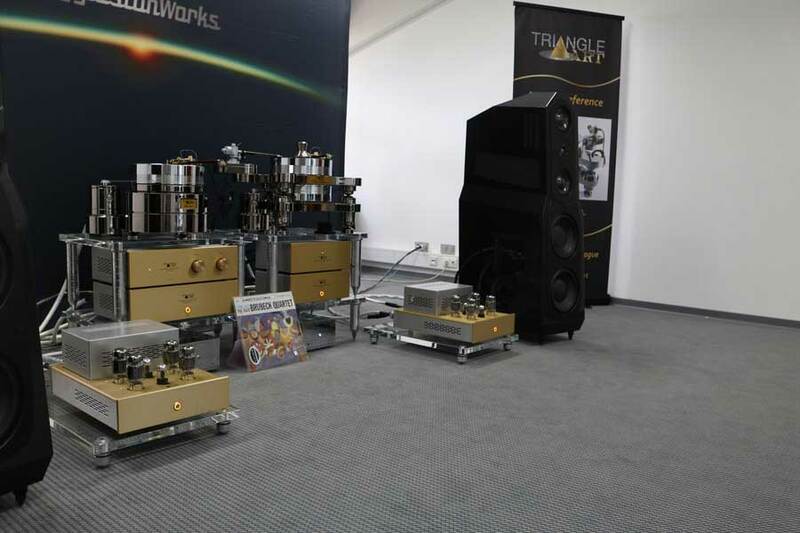 More very serious high end in the form of Egglestonworks loudspeakers, Skogrand Cables and Triangle Art who supplied the turntables and amps.